This story was originally posted on Union University's Cardinal & Cream blog on February 25, 2016. The year was 1968. Martin Luther King Jr. was assassinated, Jackson City Hall had separate drinking fountains for "colored" people and "white" people, and Union University and Lane College were still neighbors downtown. It was a crisp fall night in the middle of basketball season. Camille Long was one of only four African-Americans in the bleachers of the Union University gym, including the fellow Lane College student she'd dragged with her. 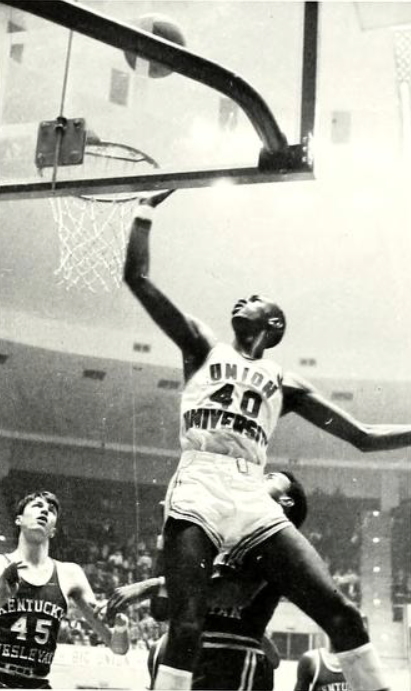 Surrounded by a sea of white faces, she wondered why she'd let Lonnie Searcy, the handsome African-American player on Union’s team, talk her into coming. Though she'd lived in Jackson her whole life, it was her first time setting foot on Union’s campus. As students ran back and forth down the sidelines waving the confederate flag and singing "Dixie," Union’s fight song, she wished she'd just stayed home. “It's like my body froze," she said. "All I could think about was 'How are we going to get out of here tonight?' It was very uncomfortable for me, I was way out of my element." Once she and her friend were back in the car, Camille's friend told her she'd never go to another game again. “I told her, 'Don't worry, I'm never going again either,'” she said. Searcy, the first African-American ever to enroll at Union, wasn't fazed by the culture that put Camille on edge. 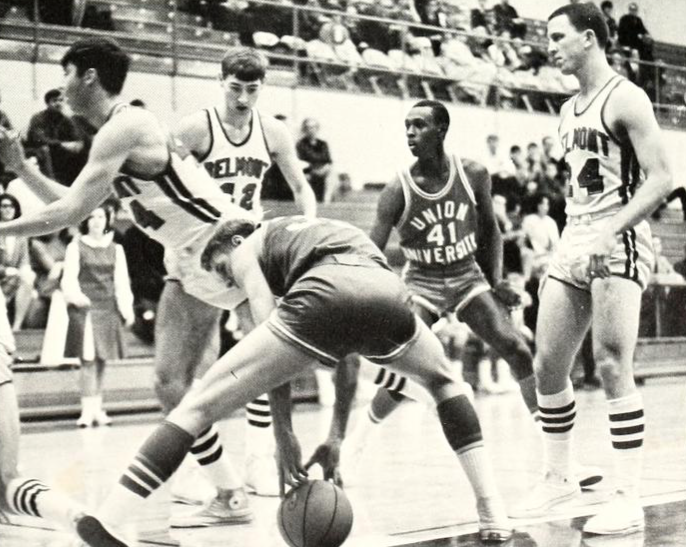 He'd had two years to adjust after first enrolling in 1966 on a basketball scholarship. He called Camille and invited her again. And then again, and again, and again. Two years and many basketball games later, "Dixie" wasn't played anymore. The confederate flag wasn't waved. Camille felt welcome on campus, and she was happily engaged to the handsome athlete who had persistently pursued her. Searcy proudly walked across the stage that May as the first African-American to ever graduate from Union. Both said change was slow to come, and that breaking down racial barriers was a long and tedious process for everyone involved. When Searcy arrived on campus his freshman year, he had no roommate. He didn't have one for two more years until another African-American student enrolled. No fraternities or student groups invited him to their events. He'd been unexpectedly asked to come for the summer term instead of in the fall with the other players and the only reason coach Billy Henry could give was that "the school has said you need to come." He never felt mistreated by students. Though they were slow to welcome him that first year, the basketball players accepted him instantly and helped him begin making Union home. Like him, they'd been recruited by Henry for their skill. 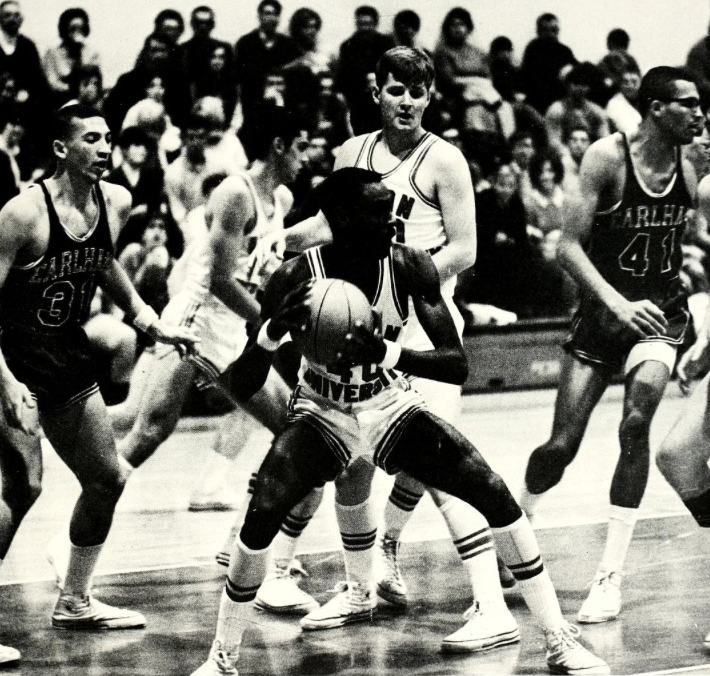 Many were from Southern Illinois, and they were used to playing on integrated teams. Their only concern, Searcy recalled, was whether or not he could help them win. 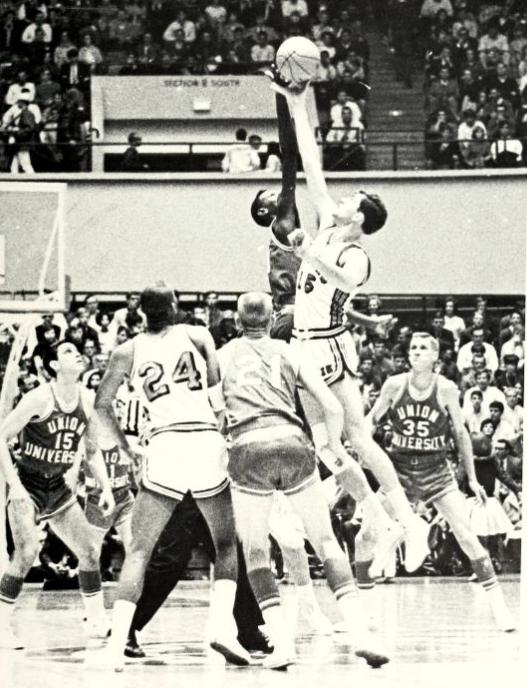 At the end of his first season, he had proved he was a valuable player by setting a record for most rebounds in a single game (twenty-eight). In the process, he’d grown so close to his teammates that they stuck by him when a local church wouldn't let him attend an end-of-the-season banquet. When the team traveled throughout the South, they'd often be barred from restaurants or hotels because of him, though Henry didn't tell him that until after graduation. Both Searcy and Camille asserted the uncomfortable experiences they had were par for the course during the time period, and they never felt intentionally mistreated. They grew comfortable with the other students, and the other students grew comfortable with them. 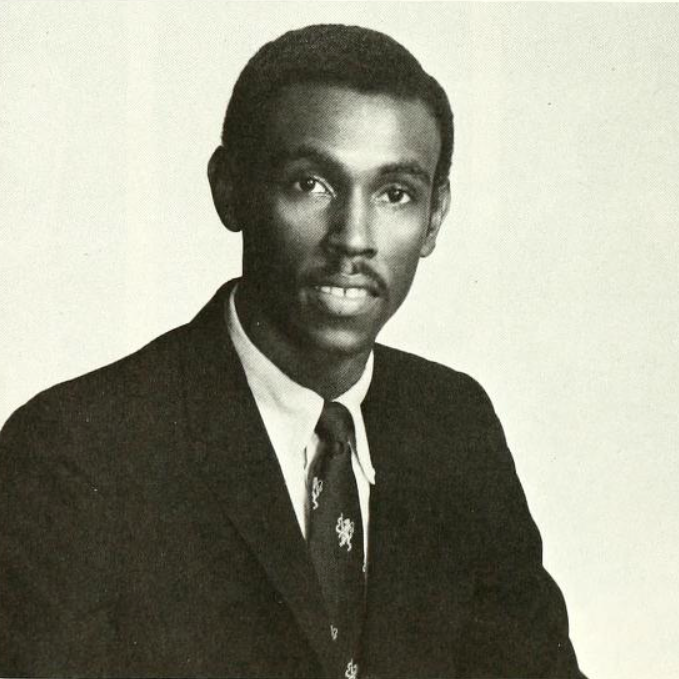 Searcy was even voted most popular on campus three years in a row, and nominated for "Mr. Union" his senior year. It just took time. After Searcy graduated from Union and Camille graduated from Lane, they married and moved to Memphis where he coached basketball and she continued her education with a master’s degree and later a doctorate. 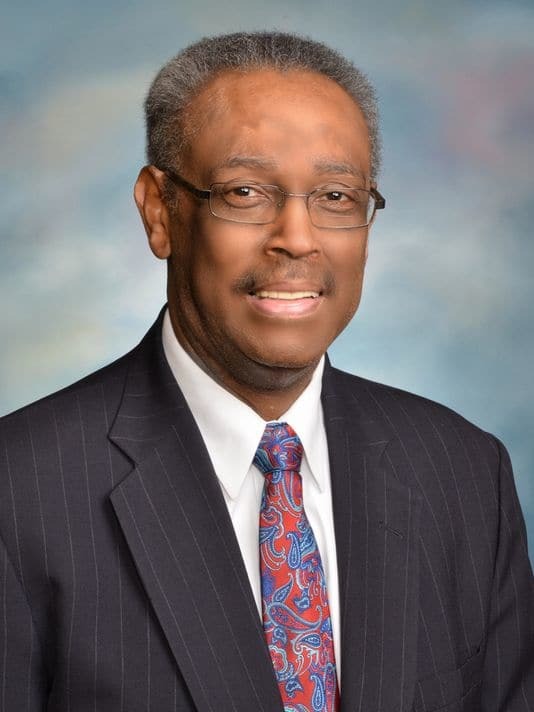 Searcy’s team was inducted into the Union Sports Hall of Fame after beating Memphis State twice, and Searcy himself was inducted into both the Union Sports Hall of Fame and the Jackson-Madison County Sports Hall of Fame. 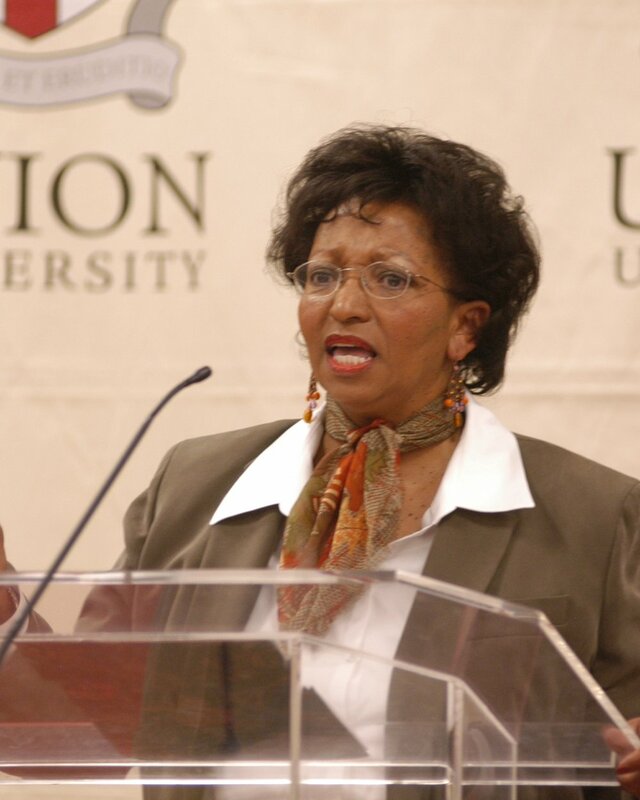 In 1993, the Searcys moved back to Jackson, and Camille took a job in Union’s education department, becoming only the second African-American woman to be part of Union’s faculty. She worked at Union for more than ten years and said breaking racial and gender stereotypes there was a process just like being the first African-American student was for her husband. Emily Littleton is a student Union University studying journalism and history. She also freelances for The Jackson Sun. Though originally from Knoxville, she gladly calls Jackson home now. Photography courtesy of the Union University archives. Behind the Scenes with "Made in Marianna"